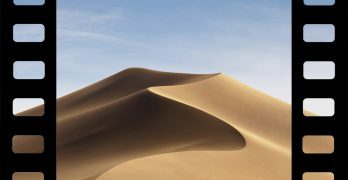 The prospect of using different bands is one of the appeals of the Apple Watch, although it may not be the strongest argument for getting one. 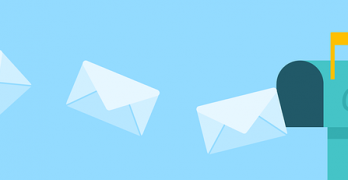 However, if you already have your Watch, and you have the default band, then you probably know the feeling that – in spite of its price tag – your Watch is just one of the millions like it. 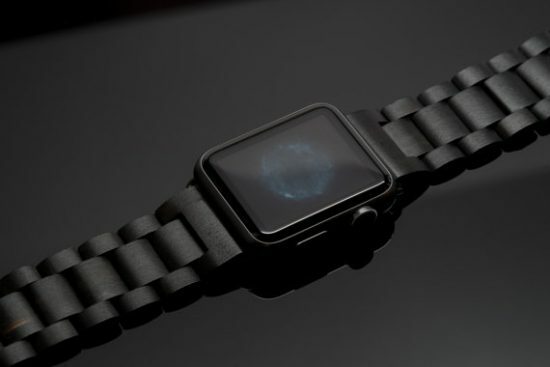 Unless you have the means to get a diamond Apple Watch or one of the ridiculous bespoke watches which shout “I have my own personality and my owner paid an arm and a leg for that!”, then you’ll have to be content with cheaper alternatives. Lucky you, the choices are there, and you don’t have to worry about the prices either. 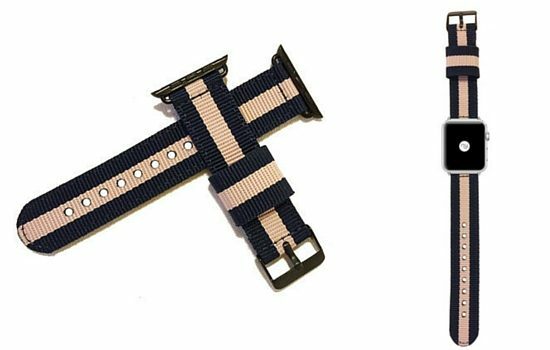 Here are some of the best third-party Apple Watch bands. 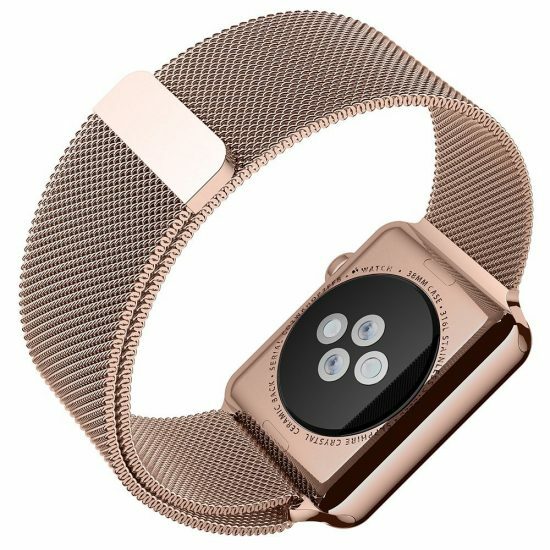 Like the Milanese Loop but don’t want to spend $100 on it? Here’s your alternative. The Plexus Strap is made from stainless steel and has a magnetic closure; infinitely adjustable so it’ll fit your wrist for sure. Available in gold, silver, and black/gray. Get it here for $22.99. This handmade leather strap has a low-key but stylish look. You can ask for your own stitching and leather type, as well as custom length. Get it here for $82. This is full-grain vegetable-tanned leather is on the pricey side, but it sure does look good – and it has a 25-year leather warranty. If you want your Apple Watch to stand out (and not choose a band in the same price range sold by Apple), then this is a solid choice. Get it here for $129.95. If unique is what you’re looking for, this is it. 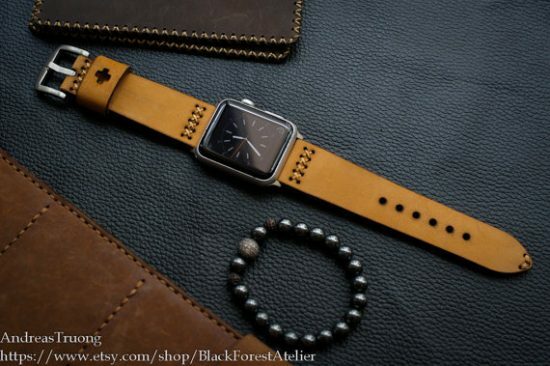 This wooden Apple Watch band may very well be the only on in the market. It’s sustainable and fits all the eco-conscious mentality, too. Did I say it looks darned good? Get it here for $67. For a casual, fun look, this band fits the bill. It’s made of nylon and is available in seven colors. Get it here for $35. 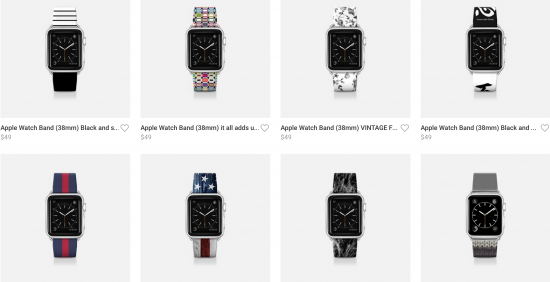 This line of third-party Apple Watch bands gives you a bunch of choices at only $49. The designs range from sedate to the more eye-catching, some retina-blinding. Take your pick here. I know I took a swipe at luxury items earlier, but I just had to throw this beauty into the mix. It’s beyond most people’s reach, but who says we can’t look? 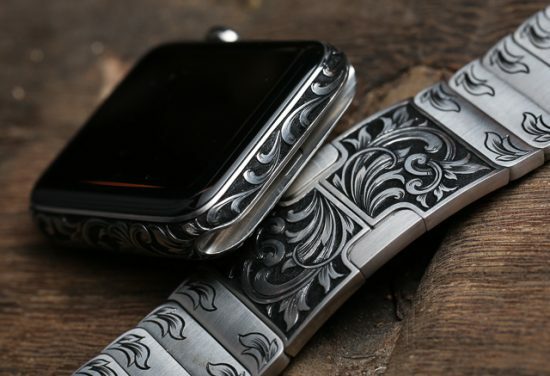 This stainless steel band – no, the entire watch – is hand-engraved. However way it’s made, it’s goddamn beautiful. 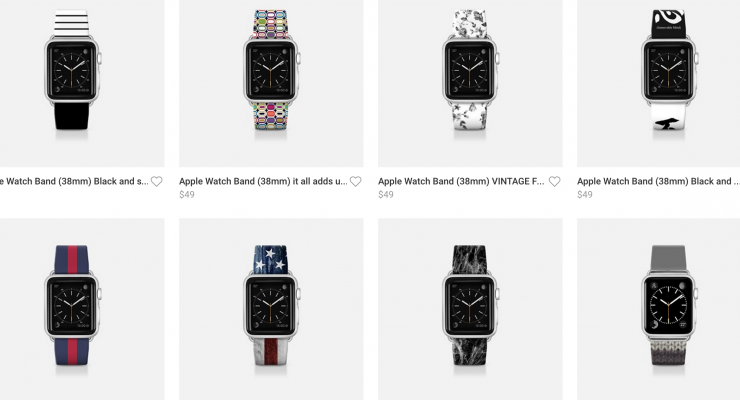 Got a nice third-party Apple Watch band? Care to show us? Their stuff looks good. 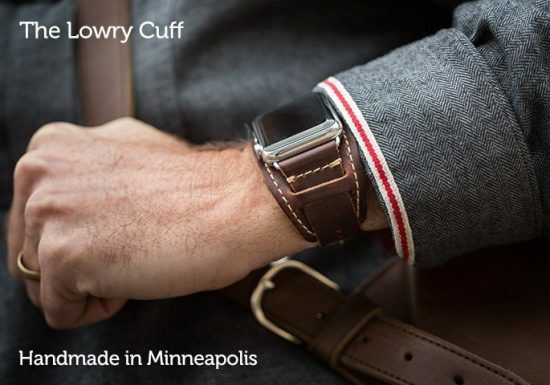 Didn’t see a watch band on their site, though.